1. Simple Harmonic Oscillations; 2. Two-Body Oscillations; 3. Addition of Simple Harmonic Motions: Lissajous' Figures; 5. Circuit Transients: Electrical Oscillations: Ballistic Galvanometer and Fluxme..
1. Simple Harmonic Oscillations; 2. Two-Body Oscillations; 3. Addition of Simple Harmonic Motions: Lissajous' Figures; 5. Circuit Transients: Electrical Oscillations: Ballistic Galvanometer and Fluxmeter; 6. Forced Oscillations: Resonance; 7. 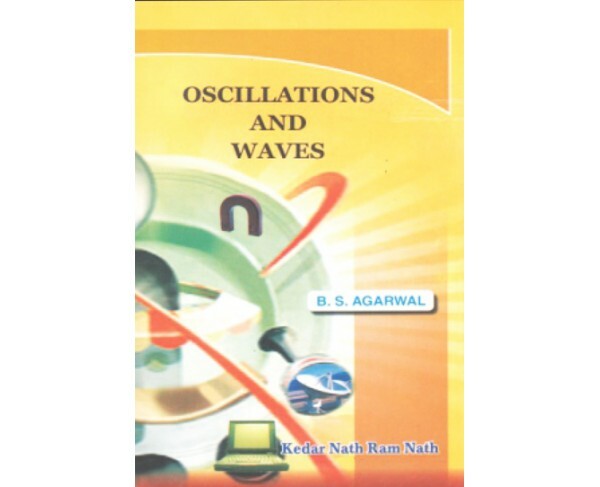 Forced Electrical Oscillations and Resonance: Series and Parallel Resonant Circuits, Mechanical and Electrical Impedances; 8. Normal Modes of Vibrations: Coupled Oscillations; 9. Fourier's Theorem; 10. Wave Motion: Pressure and Energy in Longitudinal Waves, 11. Superposition of Harmonic Waves: Interference and Beats; 12. Stationary Waves (Waves in a Linear Bounded Medium); 13.velocity of acoustic (Longitudinal) Waves; 14. Waves in Dispersive and Absorptive Media: Wave Velocity and Group Velocity; 15. Vibrations of Strings and Rectangular Membranes; 16. Reflection and Refraction of Waves at the Boundary of two Media: Acoustic Impendence; 17. Elementary Theory of Filters; 18. Doppler's Effect; 19. Recording and Reproduction of Sound in films and MagneticTapes; 20. Acoustic of Buildings; 21. Ultrasonic; 22. Electromagnetic Waves.